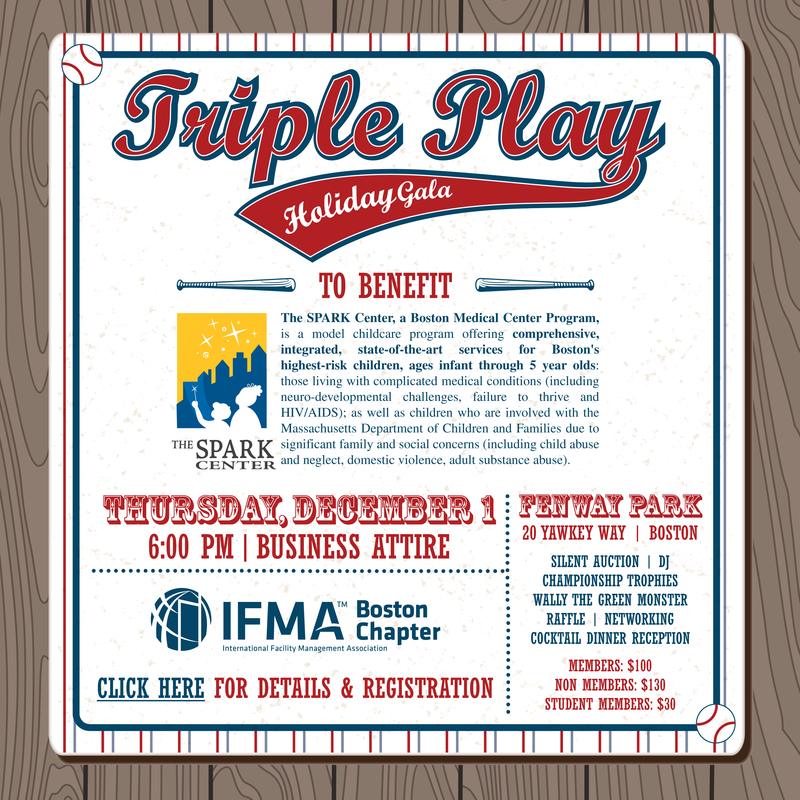 IFMA — Triple Play at Fenway Park this year for IFMA Boston’s Holiday Gala! The annual Gala benefits Boston Medical Center’s SPARK Center (Supporting Parents and Resilient Kids) which is a wonderful medically-specialized, therapeutic daycare and after school program for children with chronic illnesses, including HIV, failure to thrive, neurological disorders and also serves children who have been victims of abuse/neglect, transitioning between foster homes and even witness to violence. Join us at Fenway Park for a night of great food, excellent company, unbelievable silent auction and fun Red Sox perks! This year we have included a donation line within the registration for the silent auction. You can donate towards the purchase of silent auction items–you provide the funds and we do the work! Your company will be listed on the auction sheet the night of the event! All registrations must be cancelled by November 25th to receive a refund.